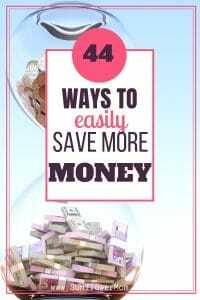 44 cost savings ideas in that don’t require you to go without your next vacation. 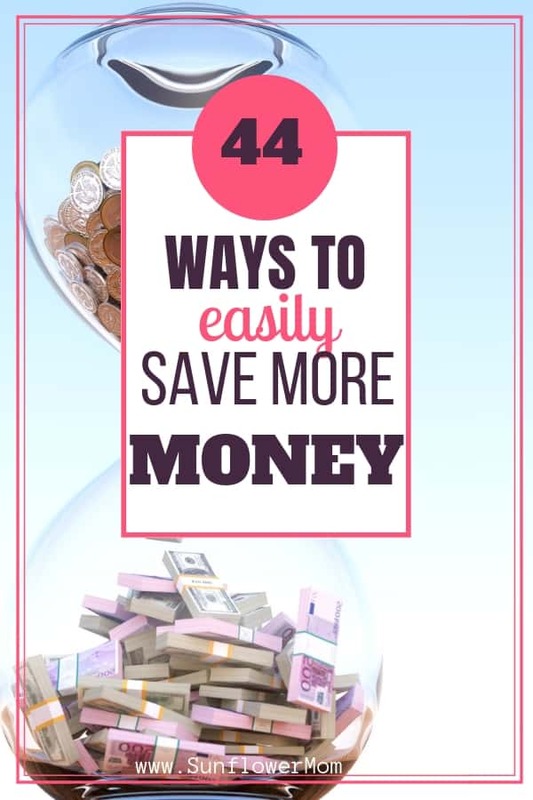 These are simple money saving ideas you can incorporate into your everyday life. Free download to record your progress. As a newly single mama, I had to learn to get scrappy with my single income. But giving up vacations with my kids or going without a Christmas wasn’t something I wanted for my new life. I knew changes lie ahead but I also knew if I read one more article telling me to sell my stuff online or install software on my computer while I browse and “easily” earn $100, I was gonna scream. So I researched further and found 44 cost savings ideas that can be done now. Don’t forget to grab your free checklist at the bottom from the resource library. For most of us, our standard of living rises as our income rises. But then something unexpected happens. It could be a divorce, the birth of a child, the loss of a job, or the need to care for an ill family member. If any unexpected life situation causes our income to drop or our expenses to rise, we suddenly have a financial gap. How can we fill this hole rather than digging it deeper? And how can we do this without skipping our vacation or canceling Christmas? Ideally, we would spend less than what we earn all the time. However, when we get a new job or big raise, usually the first thought is, “Finally, now I can afford ____.” You fill in the blank. Most of us can cut our spending in many of the areas below without realizing it. When we reduce our spending it takes time, effort, and follow-through. It sounds better and easier to do than a side-hustle job which also takes time and effort but no guaranteed outcome. Trust me; I’ve tried many times myself. Check out each of the categories below to see which of the cost-saving ideas you can adopt in each one. Trade your clothing. Trade whatever clothing you don’t wear anymore and what your kids have out-grown. You can drop off your clothing at most second-hand shops and receive credit in return. You will get more out of your trade if you take store credit instead of cash. Even if second-hand is not your wardrobe’s style, consider it for your children since they grow through clothes so quickly when young. Host a clothes swap. Invite your friends to bring all their clothes, accessories, and shoes they no longer want. Lay it all out for each other. Serve drinks and make it a fun evening. You can do this with kids’ clothes at the end of each season. Invite friends of friends, so you have a wide variety. The remaining clothes can be donated. 2) the reason they are receiving the clothes is there’s usually something semi-wrong with it. For example, my friend found an awesome pair of jeans for $19 instead of $89 regularly at the mall, and they fit her great. So she bought another pair, same size and same brand in a different color without trying them on. 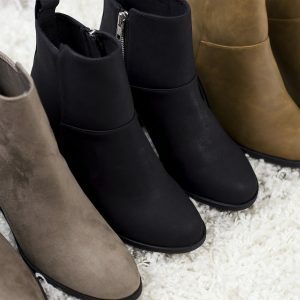 When she got home, she found out the sizes were off by the color, and the black pair almost one size bigger. Invest in only a few staple pieces of clothing. Project 333 follows Courtney’s idea of wearing only 30 articles of clothing for 3 months – and no one even noticed! Forgo dry cleaning. Wash your clothes on the delicate cycle then lay it out to dry. Get the kids on board and start turning off lights every time you leave a room. Once I sat my children down and explained the budget and how they can affect our variable expenses, like utilities, they immediately began turning off all the lights in the house. You can get a programmable thermostat that automatically changes the temperature in your home when you’re not there. Most models are easy to install and set up. If your house is empty during the same times each day (weekends can be on a different schedule), then that’s probably the most cost-effective option. If your schedule’s all over the place, then turning the thermostat down (or up) at night by a few degrees can have an impact on your bill. Unplugging appliances you aren’t using can save you money on your utility bill. Even if you have your lamp, for example, turned off, there is power running to the lamp as long as the cord is plugged into the socket. I keep all my kitchen appliances unplugged when I’m not using them. Then when we go on vacation, we walk through the house real quick an unplug everything. Use wool dryer balls to dry your clothes instead of dryer sheets. Dryer balls help dry your clothes faster, and you only buy the dryer balls once every few years. If you miss the smell of dryer sheets, you can add a drop of essential oil to your dryer balls. If you experience static cling, some people attach a safety pin to one of the dryer balls. I don’t have any static and use four dryer balls, the same ones for over two years now. If you feel a draft in the winter coming in from the outside, you can place a doorstop under the door to help seal in the heat. Although resealing or even a new door may be best, sometimes a simple doorstop is all you can afford and not only will this save your electric bill, you will immediately notice the difference. The cold draft will be gone. If you have a furnished basement, during the summer when your air conditioner is running, close some of the a/c vents in the basement and open all of them upstairs. Then in the winter when you’re running the heater, do the opposite. Since heat rises, use gravity to your advantage instead of trying to compete with it. My heater was running so much during the winter trying to keep the bedrooms downstairs warm while upstairs the house would be too hot. I had to run fans to cool it down. Regifting presents you or children receive can save you a lot of money. When my children were younger, I never had to buy my kids’ friends any birthday presents as a result. Once the kids grew out of toys and only wanted gift cards, I found myself back to having to buy gifts. You can regift your unwanted presents and all the overflow your children receive from others very easily and without looking cheap. Read more about the process here. Consider and plan out your gifts for the year. You’re always going to have kids’ birthday parties come up unexpectedly, but all the holidays you can plan. Is it necessary to give your kids a gift on Valentines Day, or would they be happy playing games? I’ve found experience gifts to be the highlight of my children’s Christmas. I don’t give them a tremendous, one-time experience gift. Instead, I give them coupons for different, smaller, affordable, activities to do with them throughout the year. Each month, we open the envelope and see what we will do. Experience gifts allow me to stretch my costs throughout the year, instead of putting a large down at Christmas. Some months, the activity costs nothing, but the kids look forward to spending time with me all year long. You don’t need to pay full price for your cable bill. Call your cable provider and ask what the current promotions are. Tell them you need to reduce your cable bill. Five years ago I called the cable company with the full intent of canceling all my cable. They found a deal for me with the catch it would expire in one year and then my cable bill would go back up to what it was. I made a note on my calendar to call back in exactly one year. When I did, they had another deal for me. I spend 30 minutes on the phone with the cable company every year on the same day, and each year can get my cable under $100, sometimes even $80. If you have a Smart TV, then you probably have Netflix or Hulu. If that’s the case, do you need all those cable tiers? Or do you watch enough Netflix or Hulu to justify keeping it? If your Internet and Cable are on the same bill, find out from your provider what tier they have you on for Internet coverage. If you aren’t teleworking or streaming movies, you may not need the fastest, highest package. The grocery store is one of the most significant areas for cost savings. Cutting costs at the grocery store doesn’t have to include comprising your health to cut costs. Often it’s recommended to skip the meat section and not buy organic. While that will help you reduce your grocery bill, you have to weigh the effects of eating manufactured food. Shop less often. Make grocery shopping an intentional event. Don’t go to the store each day after work and pick up something for dinner. Saving money at the grocery store will involve meal planning and fewer trips to the store. If possible, grocery shop without your children. It’s not necessary to watch the ads for all the grocery stores in your town then shop at them all. Be practical – how much are you saving when you figure the price of gas and your time spent running around time. Your time has a cost as well. Instead chose your favorite grocery store and read their ad for the week to see what’s on sale. Create your meal plan for the week around their ad as much as possible. 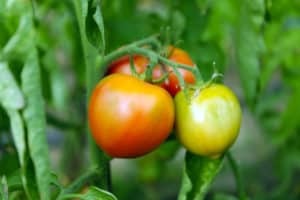 Buy produce in season. Fruits and vegetables taste better when in season and since it’s more economical to grow and ship them to stores at their peak times, it’s cheaper for you too. One exception to the “one store” rule is shopping at a good quality discount grocery store before heading to my regular store. These stores, like Aldi’s, usually have high-quality produce and dairy, along with paper products you will find cheaper here than you would at your local grocery store, even when it’s on sale. Buying bulk when possible, and when you will be able to use all the product you bought. For example, do you really need 24 cans of baked beans just because they’re in bulk? If you’ll eat them, great. If not, just buy one at your regular grocery store. Using coupons isn’t all about clipping them from a newspaper anymore. Your local grocery store most likely has digital coupons you can add to your loyalty card while you’re shopping. Amazon now has digital coupons as well and when you’re checking out, you click to apply the coupon. They aren’t available for all items but occasionally you’ll find them when checking out so watch out for them. Pay in cash. I never use my ATM at the grocery store. Go with a budget in hand (and your cash only) and use the calculator on your phone to keep track of how much you’re spending. Want more ideas for cutting back on your grocery bill? Check out Grocery University. It’s an audio course from Money Saving Mom that will teach you everything you need to know about making the most of your grocery budget. It’s designed for both the seasoned shopper and for the newbie who doesn’t want to clip coupons. 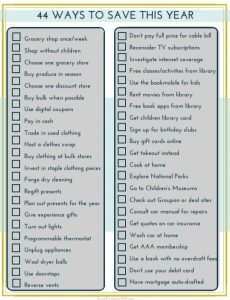 Your local public library can entertain your children (and you) for more than just books. 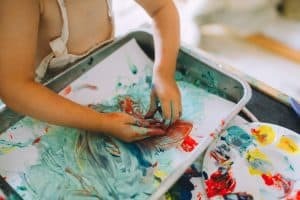 Check out what classes they offer from computer learning, book clubs, to letting kids read a book to therapy dogs, there can be a ton of activities free to the public and available at all hours. Get a copy of their monthly calendar and see what interests you and your children. Our library has a bookmobile. Even though the book selection is considerably less than the whole library, they tend to carry the best sellers on the bookmobile. For some reason, looking for books and movies on a “bus” can be exciting for kids. They consider it an outing. Rent your movies from the library. You’d be surprised at the variety they have. Check out the audiobook apps your library has. My library has two, and I use them all the time. One of the apps has a limit of 12 books per month, while the other doesn’t. If I want a book that isn’t available through the app, I request it, and the app notifies me when it’s ready. I never have to leave my house. Get your children a library card. They will feel bigger and want to go to the library and check out books and movies themselves. Sign up for the birthday club at your favorite restaurants for everyone in your family. Most likely you’ll eat there on someone’s birthday anyway. The restaurant will probably send you other coupons throughout the year as a result. You can set up a different email, so your regular email isn’t flooded with offers. And so you aren’t tempted to eat out every time a new email arrives. You can buy gift cards for less than face value online. Check out giftcardnanny or cardpool for deals. Get takeout instead and eat your favorite restaurant meal at home. Takeout will save approximately 20% when you figure in the cost of drinks and the larger tip. Cooking at home is always cheaper. Make it fun, so it doesn’t feel like the same thing. You can have theme nights (Taco Tuesday or Breakfast for Dinner) or make pizza as a family. Explore a National Park Site. There are 417 national park sites in the U.S.
Take the kids to a Children’s Museum. They can spend hours there for about the admission of a movie. Visit Groupon regularly and check out the coupons they offer in the entertainment section for your city. Warning: checking out deals too often may have the opposite effect – you might end up buying too many deals you wouldn’t otherwise. If you’re prone to this, either set yourself a limit or take this money out of entertainment budget or only visit deals sites when you’re already planning an evening out. Car maintenance is a necessity. But it doesn’t mean you can’t get smart about it. Instead of blindly getting all the services suggested by the mechanic, consult the manual for your car. What services are mandatory and when for your make and model? Along the same lines, check to see when should the oil be changed. Get a few different quotes for car insurance. Getting a quote is good to do if you’ve had the same insurer for a long time. Even if you don’t want to leave your current insurance, it will give you something to bargain with and let you see if you’re overpaying. Wash your car at home. Have the kids help, tell them you’ll spray them with the sprinkler, or pay them with ice cream. Consider a AAA membership. If your car is older the chances of having your vehicle break down due to a flat tire or dead battery increase. The cost of a yearly membership to AAA outweighs the cost of having to take care of your car on the side of the road calling for help randomly. Plus, it’s peace of mind with children in the car. Ensure your bank isn’t charging you for overdraft fees when you have a savings account. Your savings account should cover your checking overdrafts without a fee – within a reasonable limit. Additionally, find a checking account with no monthly fee. Different banks and credit unions all have different rules and charges depending on the account you have open. Do a little research on banks in your area to find one that won’t charge you. On the same lines, watch your checking account to ensure you aren’t overdrawing. The best way to ensure this is to pay cash for everything and not use your debit card to withdraw cash. Have your mortgage auto-drafted from your checking account every month. Auto-drafts ensure you never miss a bill. Your mortgage is a fixed, non-negotiable expense, so there’s no reason to deal with it each month. Tip: have it set up to withdraw half the amount every two weeks – this will have you unknowingly pay an extra house payment each year. 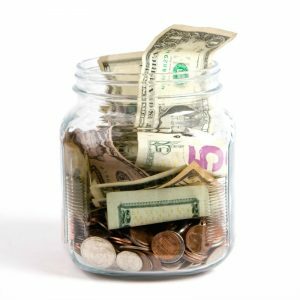 Where will you start first to save money and cut down your costs? Start with the ones on this list that are most doable to you to allow you to live below your means, then bookmark this page and come back for more when you’re ready for more savings. Take one category at a time and spend some time on each one, researching and trying out new ideas. Cutting costs isn’t a sprint, the habits you adopt here will pay off for you in years to come, regardless of future income increases or decreases. Download the checklist below from the resource library and record your progress throughout the year.